WAKEFIELD, Mass. - Hockey East will soon be launching the “Commissioner’s Club”, a fan loyalty program enabling the league’s fans to access a variety of benefits and offers, it was announced by Hockey East commissioner Joe Bertagna at Monday’s Media Day at TD Garden. Fans will be given two options, one where they can join for free and get a level of limited savings, deals and offers. 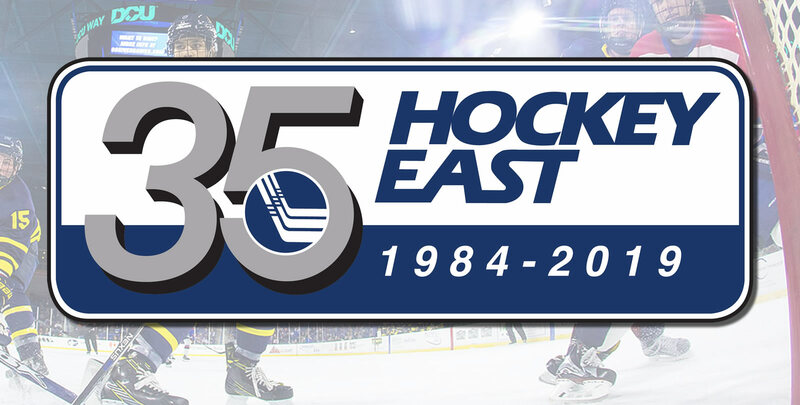 And shortly after the launch of the program, they will also be offered a premium or fee tier that will deliver even higher level benefits, along with some exclusive opportunities, giving them a unique “behind-the-scenes” look at the operations of Hockey East. “This new program is made possible through our new partner, Stoneacre2.0, who brings a long and deep history in loyalty and affinity programs. We are thrilled to be working with Nick Mammola and our friends at Stoneacre,” said Bertagna. Stoneacre2.0 brings strategy and domain expertise, along with proprietary technologies, that make this offering possible to Hockey East fans. Fans in the free level will immediately have access to a free and exclusive content piece upon joining, the “Super Fan Guide.” In addition, over 300,000 local and national discounts on dining, entertainment and local establishments will be made available. The pay level will have these benefits along with exclusive offerings on tickets and other league events normally unavailable to the public. More details, on both the free and pay level offerings, will be made available in the coming weeks as the “Commissioner’s Club” takes shape and is formally launched.